The periodic table of suds! Wash with a bar of glowing Radium, Uranium, Plutonium or Thorium! 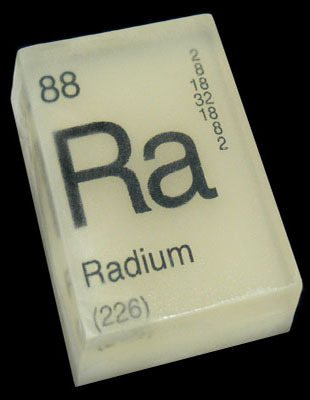 Our Periodic Element soaps measure 3” x 2” x 3/4" - the perfect size for both adult and children's hands. Vegan-friendly, contains no animal products and of course contains no actual Radium, just a little of our safe, non-toxic blue glow pigment. 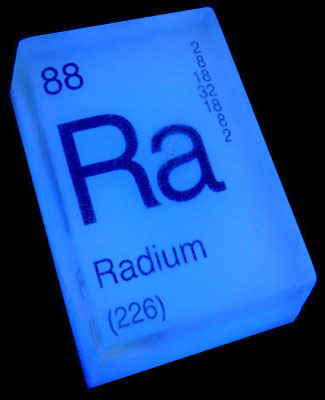 Radium soap bar has data printed in it from the periodic table and glows blue in color. A great gift for anyone interested in science/chemistry/technology/nuclear stuff.